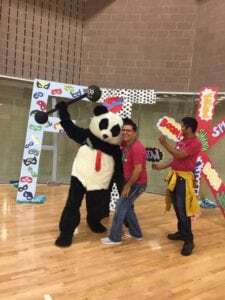 Panda Express Project Fortunate – Panda Restaurant Group, Inc.
Over the past five years, local Panda Express restaurants have been dedicated partners to Arkansas Children’s, the local Children’s Miracle Network Hospital. Panda Express collects donations at the register all year long making a significant impact on children nationwide. In 2017, local restaurants raised over $53,000 for Arkansas Children’s and we are grateful for their overwhelming support. To learn more about the Panda Express partnership, check out this video. Visit your local Panda Express restaurant today and round up your transaction to support Arkansas Children’s. 50% of proceeds are donated to CMN Hospitals and 50% are donated to helping education initiatives across the country. Thank you Panda Express and Panda Express customers for your commitment to provide the kids we serve a better today and healthier tomorrow! Previous post: Panda Express cares about the future of healthcare for patients and their families.